Break out the booties and jackets – It’s finally fall y’all! 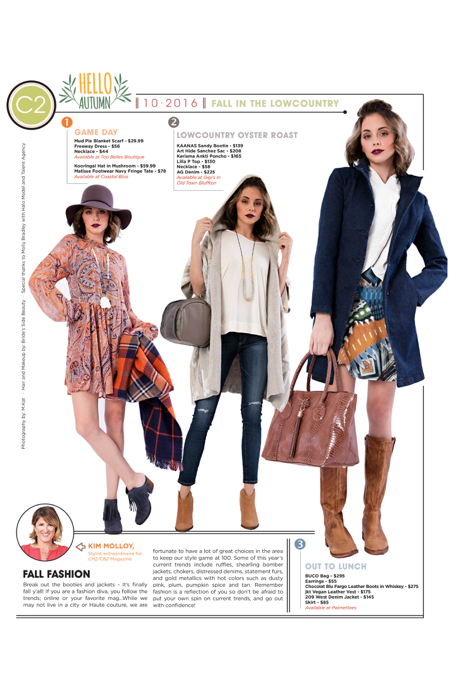 If you are a fashion diva, you follow the trends; online or your favorite mag…While we may not live in a city or Haute couture, we are fortunate to have a lot of great choices in the area to keep our style game at 100. Some of this year’s current trends include ruffles, shearling bomber jackets, chokers, distressed denims, statement furs, and gold metallics with hot colors such as dusty pink, plum, pumpkin spice and tan. Remember fashion is a reflection of you so don’t be afraid to put your own spin on current trends, and go out with confidence!